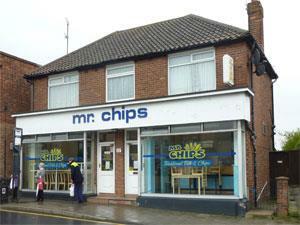 Mr Chips in Gorleston-on-Sea in Great Yarmouth is a great place to pick up takeaway fish and chips and other fast food. From Great Yarmouth follow signs for Gorleston-on-Sea. Mr Chips is located mid-way along the main High Street.